I completed these two necklaces last weekend. 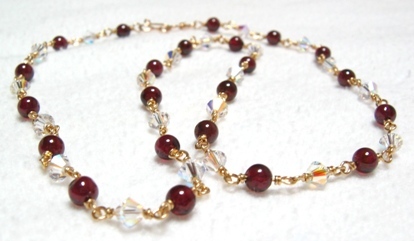 One is a garnet and 5mm bicone AB white swarovski crystal necklace handcrafted especially for my dear sister. Rosemary – a 5 mm bicone AB white and ruby swarovski crystal necklace as the name indicated is for Rosemary – my sister in-law.